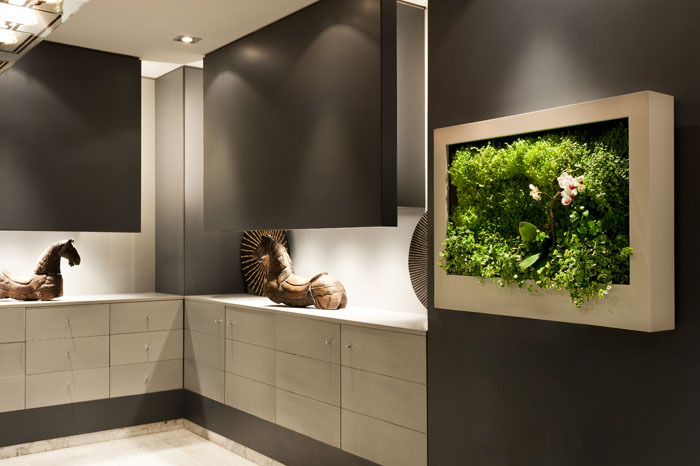 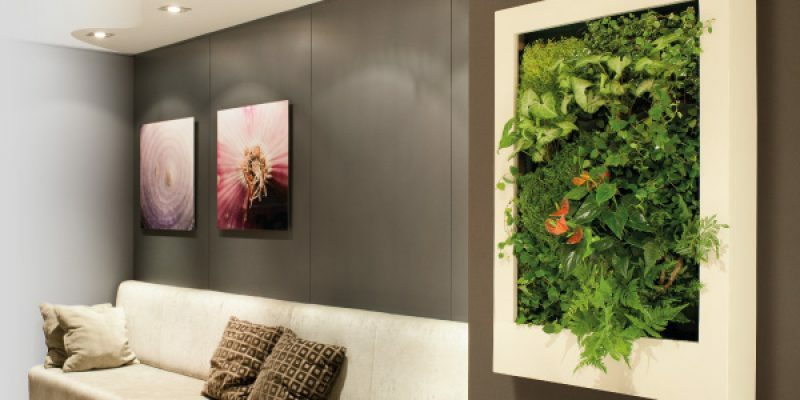 An elegant vertical garden for indoor environment. 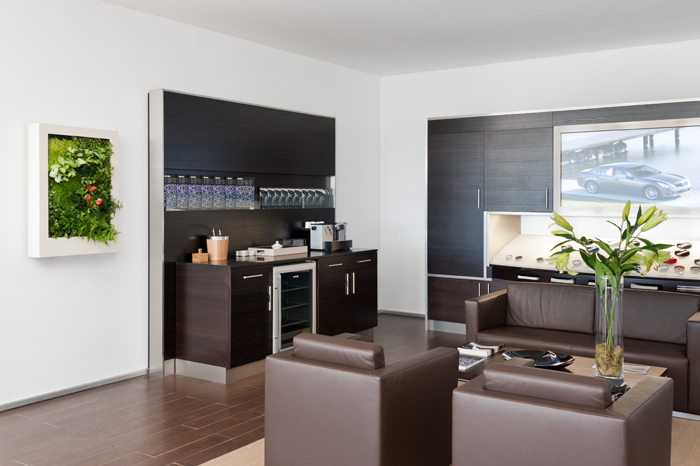 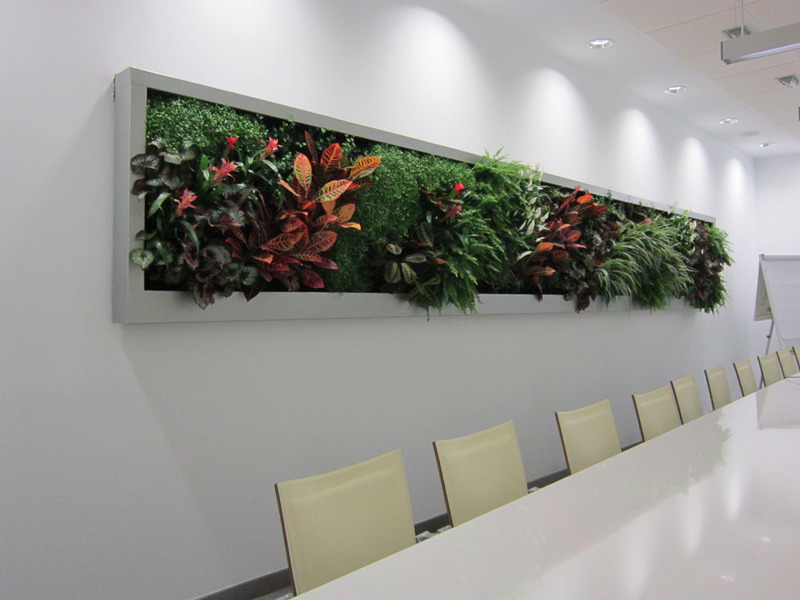 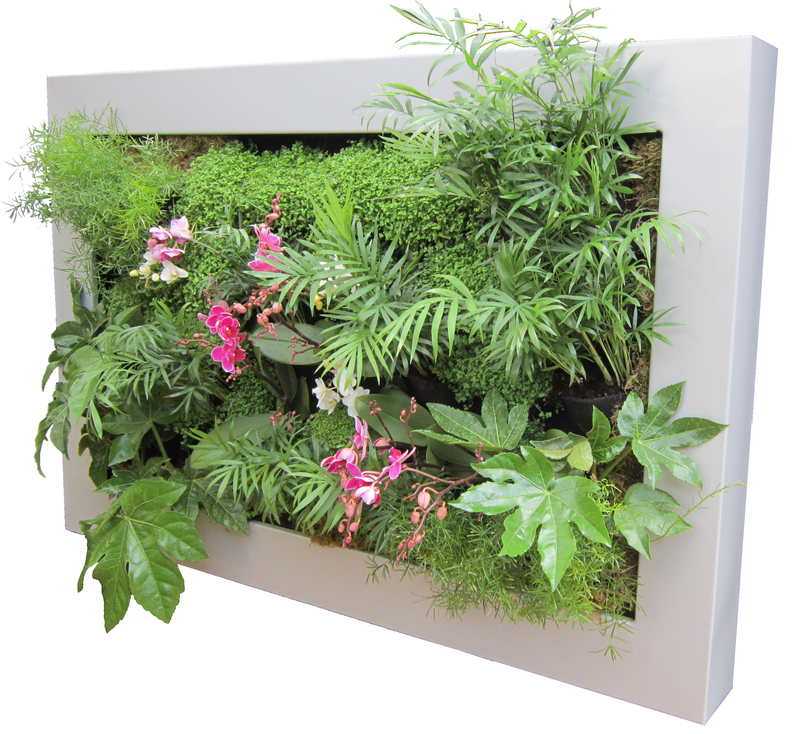 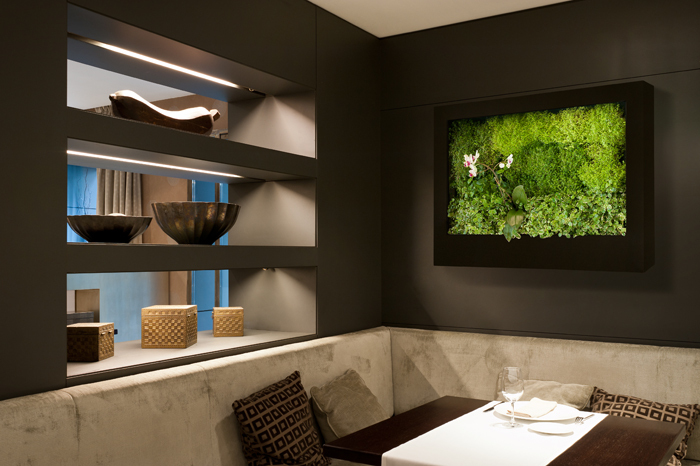 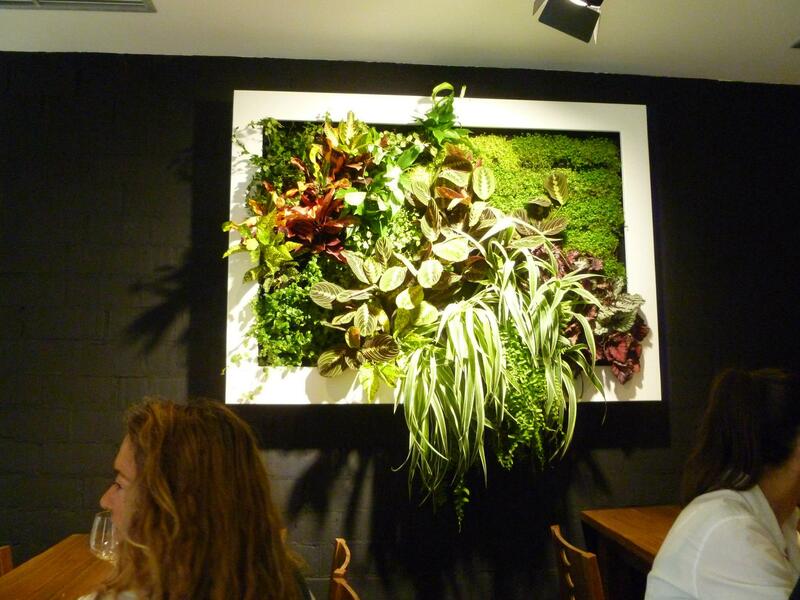 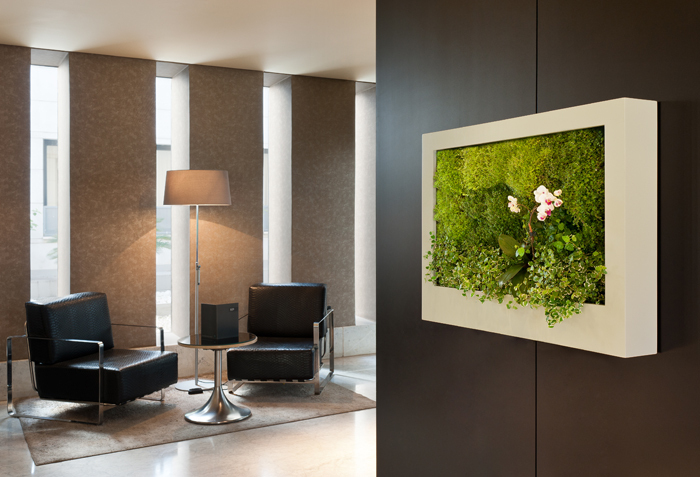 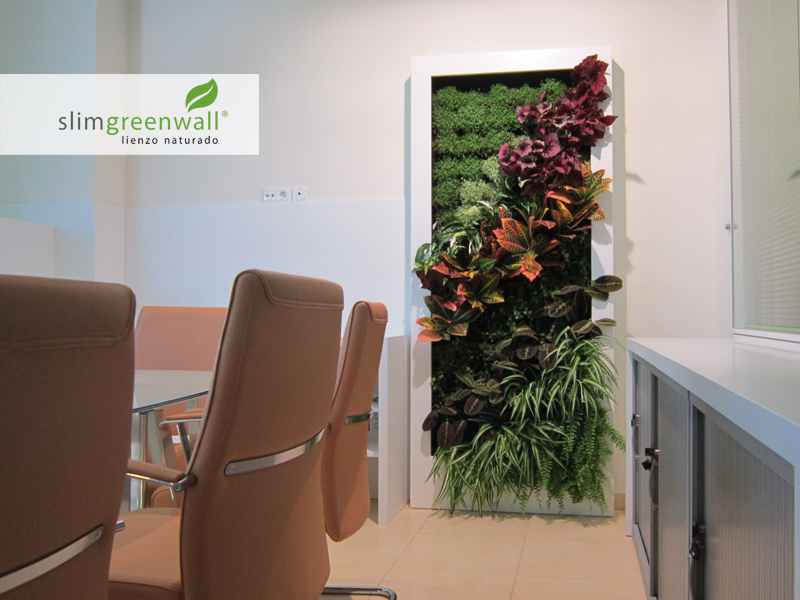 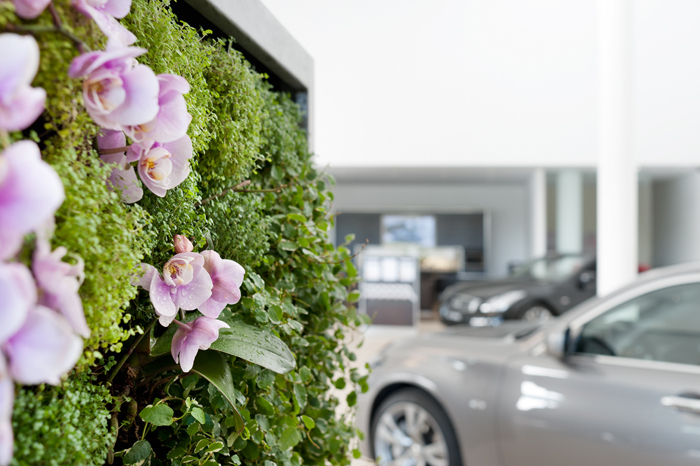 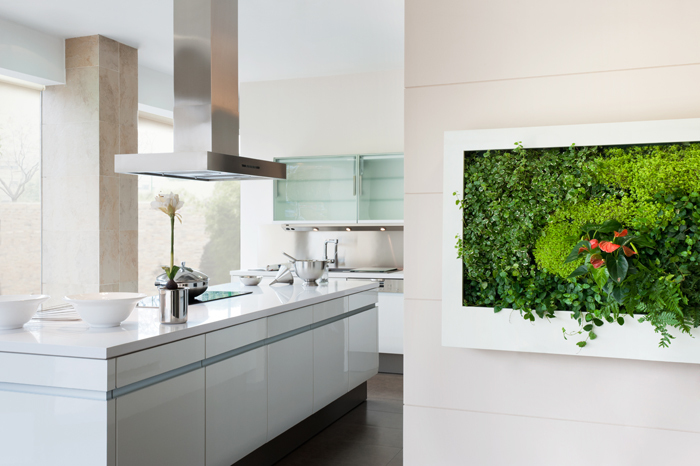 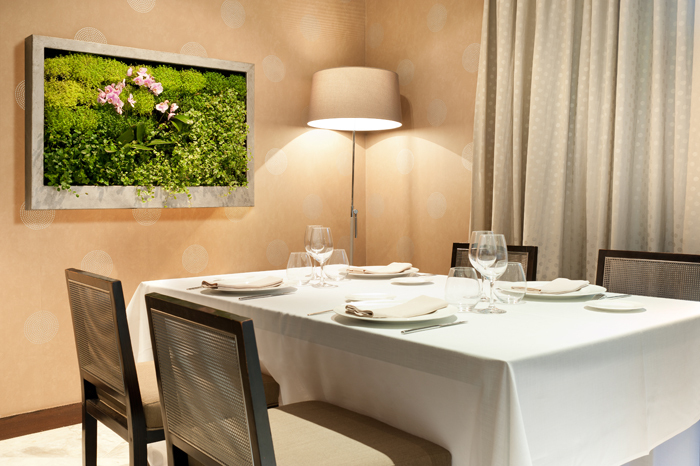 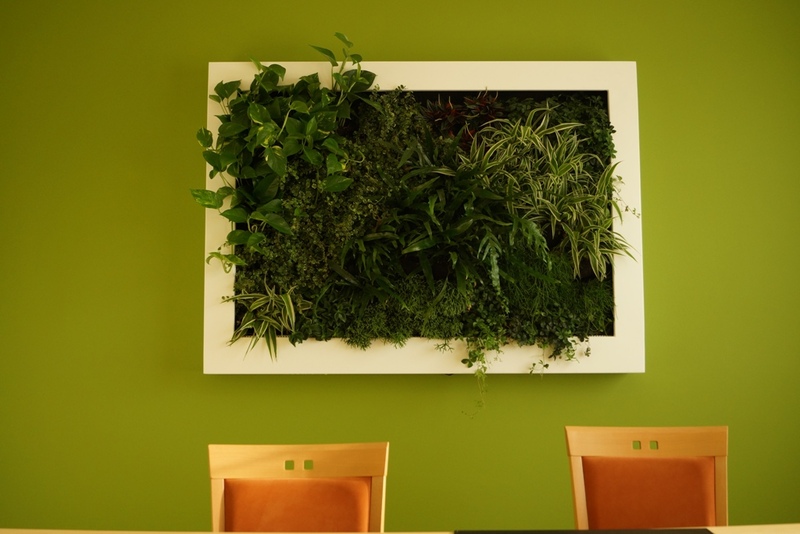 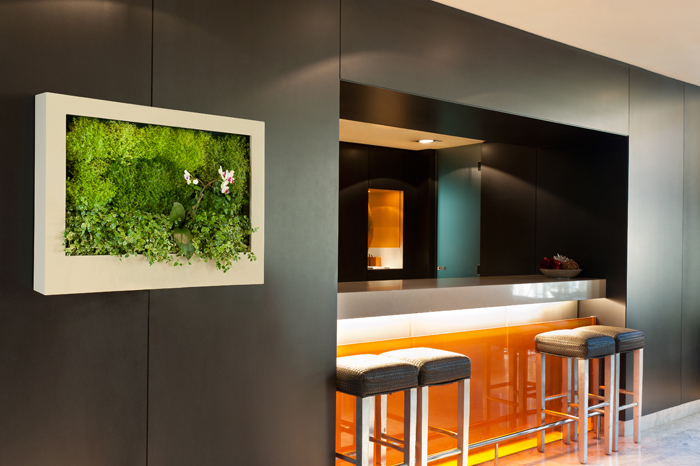 Slimgreenwall natural canvasses satisfy the needs for a small and elegant vertical garden in a compact form. 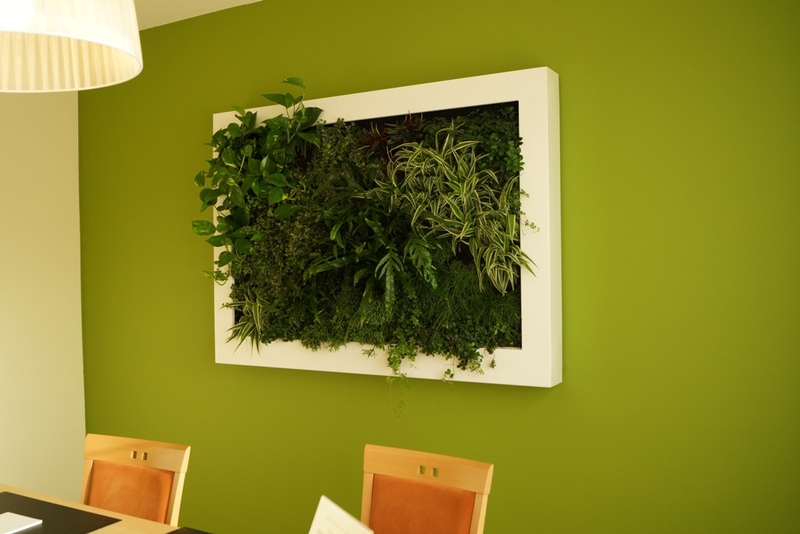 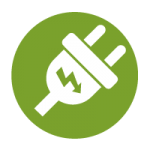 Its installation is easy and does not need any maintenance. 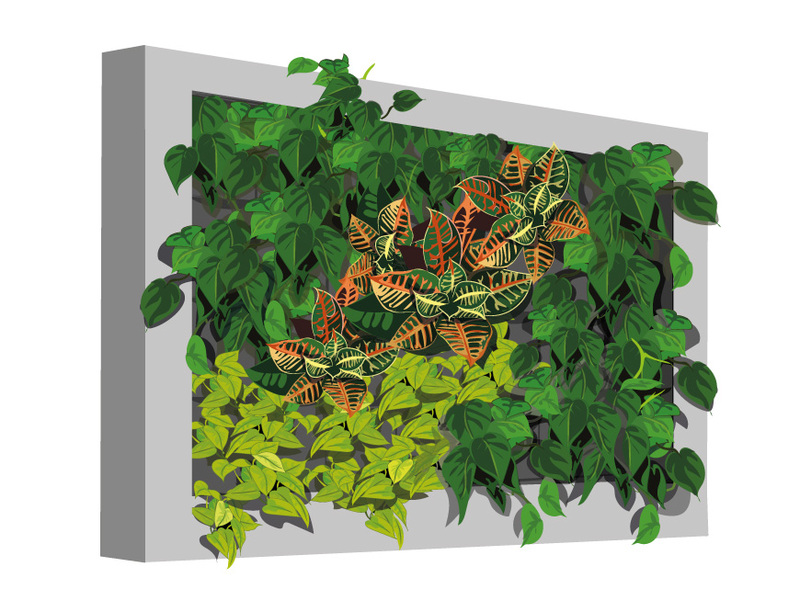 Its operation is very easy: the bottom of the frame is used as a reservoir for watering and automatically dispenses the water between the plants through a closed watering system. 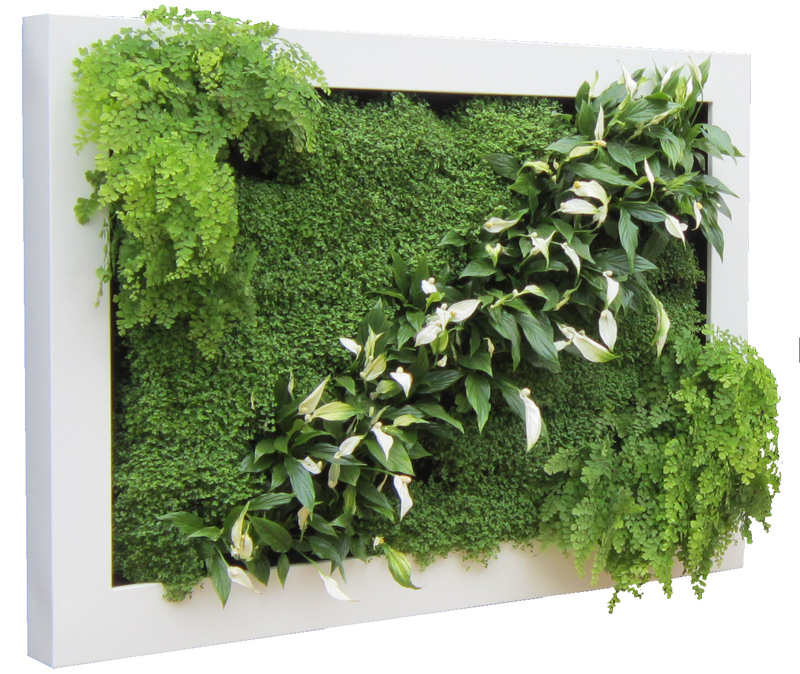 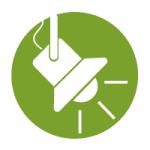 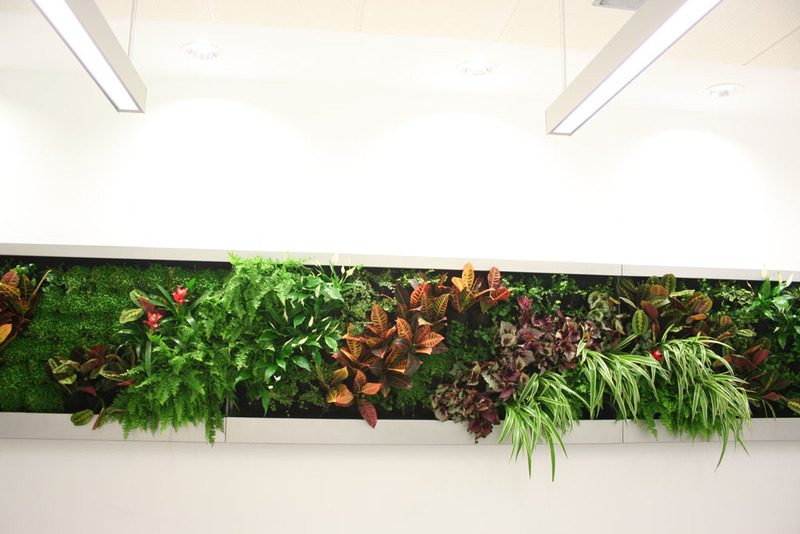 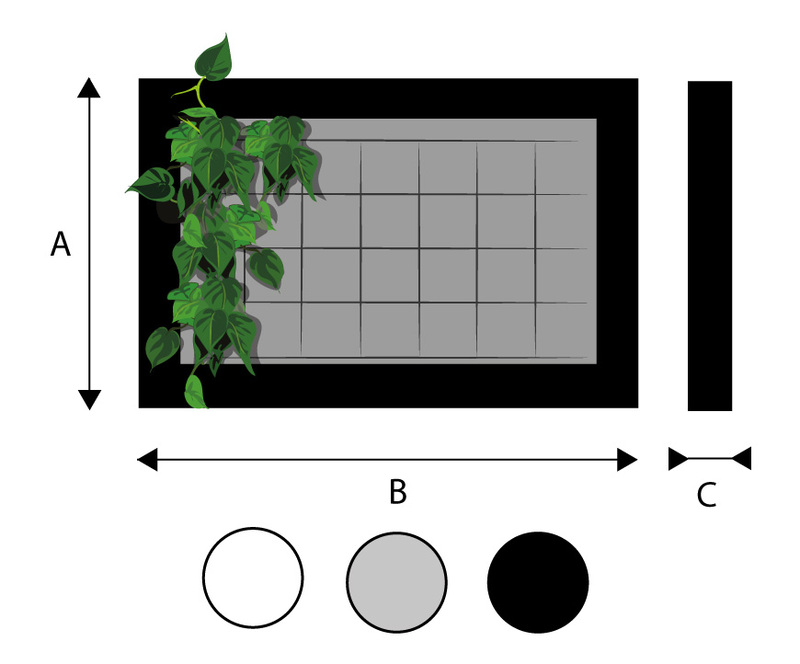 Slimgreenwall employs the Fytotextile ® system for vertical gardens to obtain a vertical garden of medium density with optimal plant development and easy maintenance. 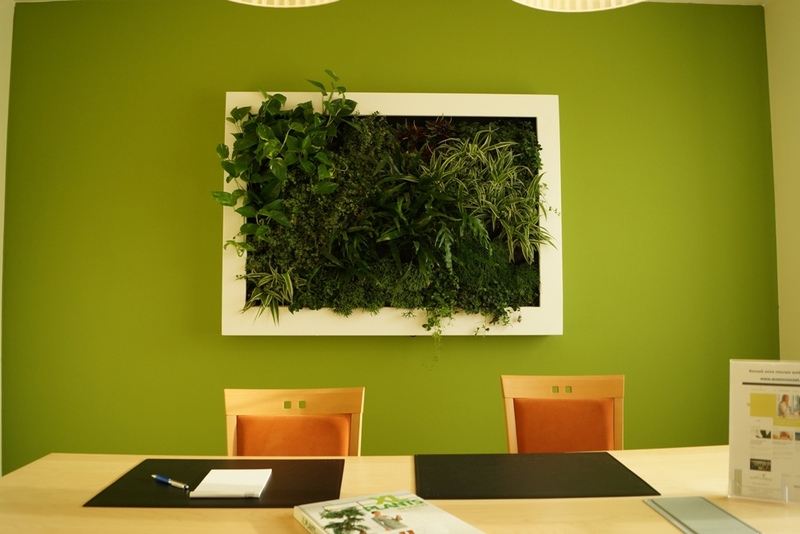 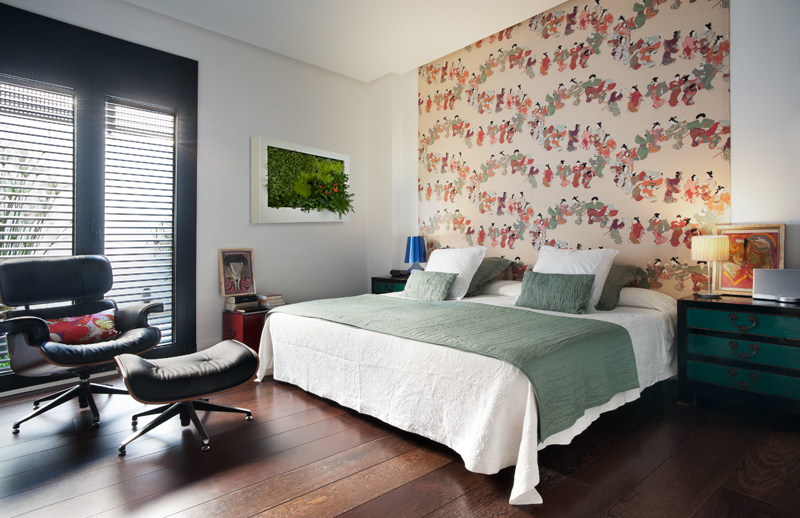 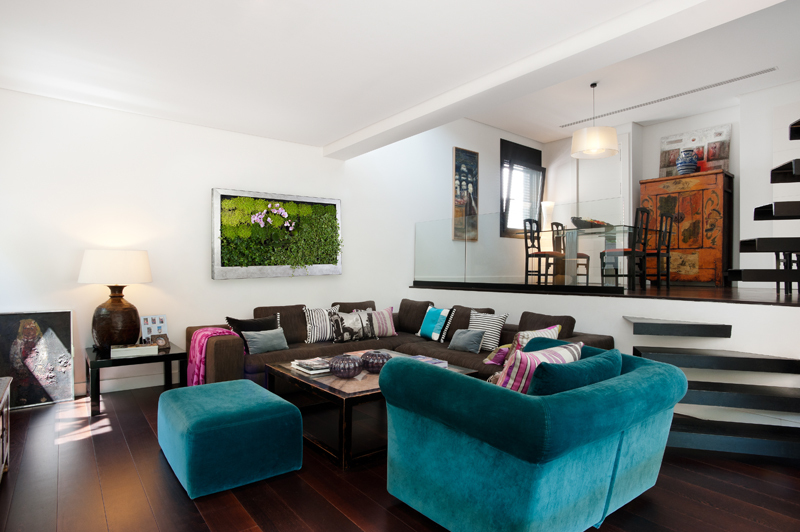 Slimgreenwall natural canvasses are made to order in three standard formats, and customized formats are also available.